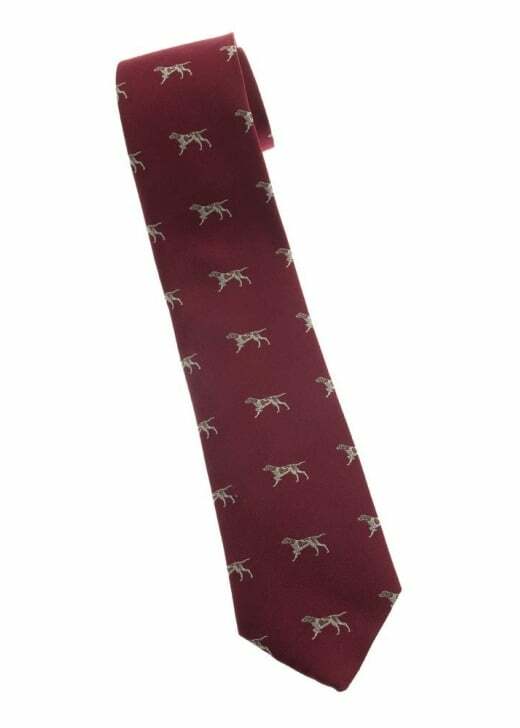 The Sarah Greaves Foxhound Silk Tie is woven using 100% silk and is the perfect addition to any man's wardrobe. 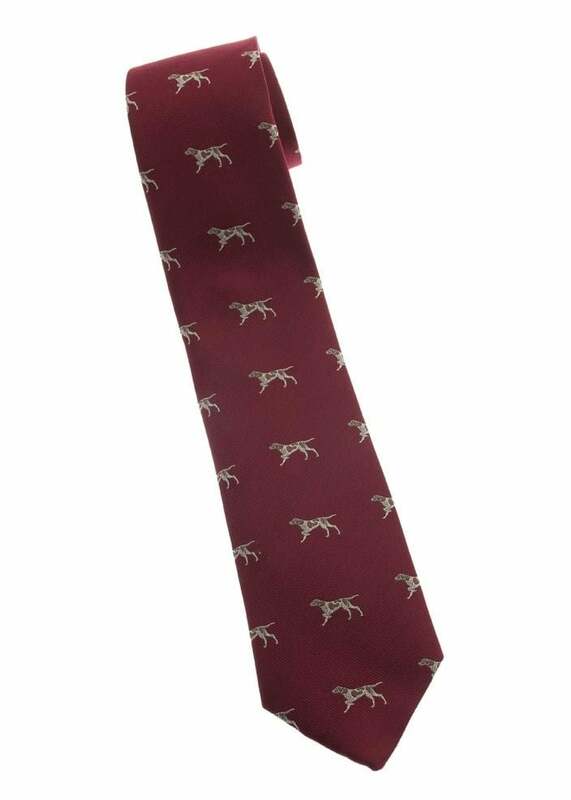 The Sarah Greaves Foxhound Silk Tie is woven using 100% silk and is the perfect addition to any man's wardrobe. By gently folding the silk around the interlining and hand-slipping a continuous thread along the back spine of the tie, a special tie is made. An extra loop of thread allows the tie to give whilst being worn and retain its shape after continuous wear. A decorative bullion stitch anchors each end of the tie thus finishing these quality ties.